who missed the cut-off date kindergarten. August 1st you should try and find a preschool . Times vary according to age and community visitors. Fall Registration begins March 1, 2018. All of our classes were full this year and we had to turn students away. 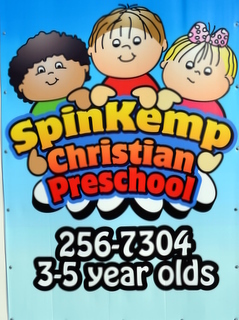 If you are interested in getting your child in Spin-Kemp , register early to secure a slot for September. A $40.00 (non-refundable) fee is required to hold your spot. You can pick-up a registration packet in the preschool office stating Thursday, March 1st. from 8 a.m. to 11:30 a.m. If you have questions or would like more information you can contact our director, Mrs. Mia Lynch at 256-7304 or click here to send an email.